The leader of the SDLP sparked a political firestorm last night when he accused the DUP of not wanting ‘a Taig about the place’. 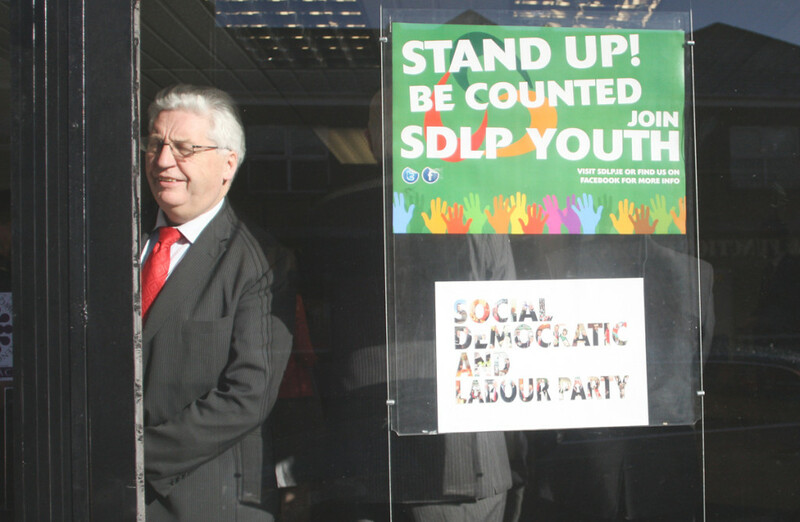 Alasdair McDonnell travelled from talks at Stormont to speak to party members after Minister for the Environment Mark H Durkan cut the ribbon on the SDLP’s new Glengormley constituency office. Senior party officials including Fearghal McKinney, Alban Maginness and Nichola Mallon were in attendance at the Carnmoney Road event as he made the comments. In a speech recorded by the North Belfast News, Dr McDonnell compared the DUP and Sinn Féin to “spoilt children in a school yard fighting over sweets”. “It’s not about real politics, it’s not about the lives and the livelihoods we care about. If it was up to us, we would sort it out in a week,” he said. It’s thought Mr McDonnell’s outburst may have been sparked by controversial comments made by DUP MLA Arlene Foster when she recently took over as acting First Minister. She described Sinn Féin and SDLP ministers as “rogues” and “renegades” and said she would work to ensure they didn’t damage the unionist community. Dr McDonnell also had harsh words for Sinn Féin during yesterday’s office opening ceremony. “Sinn Féin just can’t tell the truth,” he said. “They can tell us whatever they like and you’ve examples of Gerry Adams with the IRA, and with Martin McGuinness saying this that and the other thing (but) they are not telling the truth. “We fully support the Chief Constable in what he discussed publicly at a press conference (on) the murder of Kevin McGuigan. We know who killed Kevin McGuigan and we know there are people out there associated with, or connected with, or involved in some way, that basically were involved in helping and supporting the killing of Kevin McGuigan. Sinn Féin’s Alex Maskey accused Mr McDonnell of “political opportunism”. “The brutal murders of both Gerard Davison and Kevin McGuigan have been exploited by the unionist parties for their own internal electoral intentions and Alasdair McDonnell’s scurrilous allegations are clearly an attempt to move the SDLP onto the same ground to score cheap political points.